For more than 50 years, children and adults alike have been discovering the magical world of creativity and pencil-free drawing with Classic Etch A Sketch! The iconic frame, easy-to-use knobs, classic magic screen and shake-to-erase feature â€” not to mention the endless hours of fun it provides â€” have made it popular all around the world! 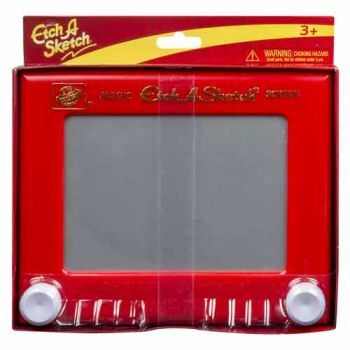 Sketch, erase, and sketch again with Etch A Sketch.